I have never had any children. My (3) cats are my "kids". Cindy Eastey Campbell has a birthday today. Cindy Eastey Campbell added a comment on Profile. 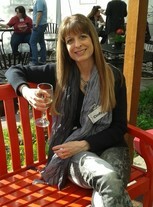 Cindy Eastey Campbell changed "Now" picture. Cindy Eastey Campbell added a photo to profile gallery. New comment added. Cindy Eastey Campbell updated profile. View. Cindy Eastey Campbell added a comment on Profile. New comment added.